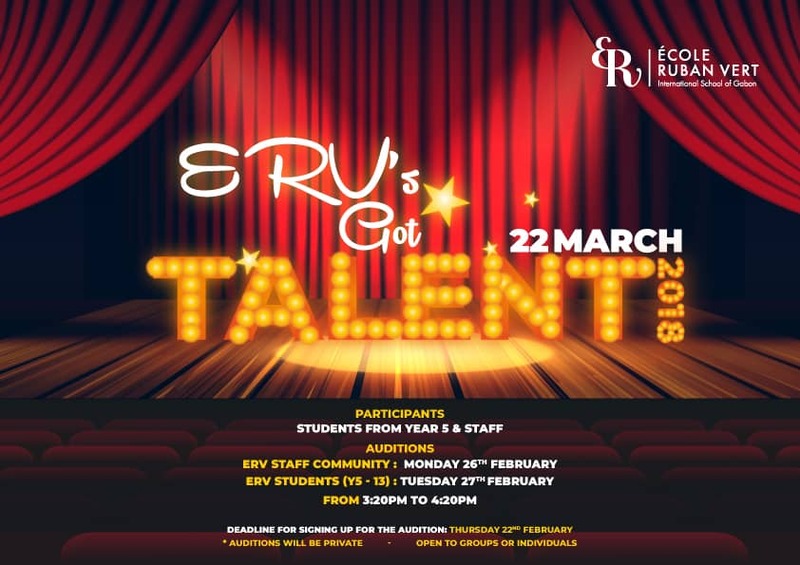 The most long awaited of ERV’s events returns on the 22nd of March. This year, the school is happy to add teachers and staff members into the show. The entire ERV community is looking forward to it with impatience. After the promising Spring Recital that happened before the mid-term break. So for the 22nd of March let book the date for that wonderful spectacle where all the talents are celebrated. The funds that will be raised from the talent show will help for Community Service and finance a project.